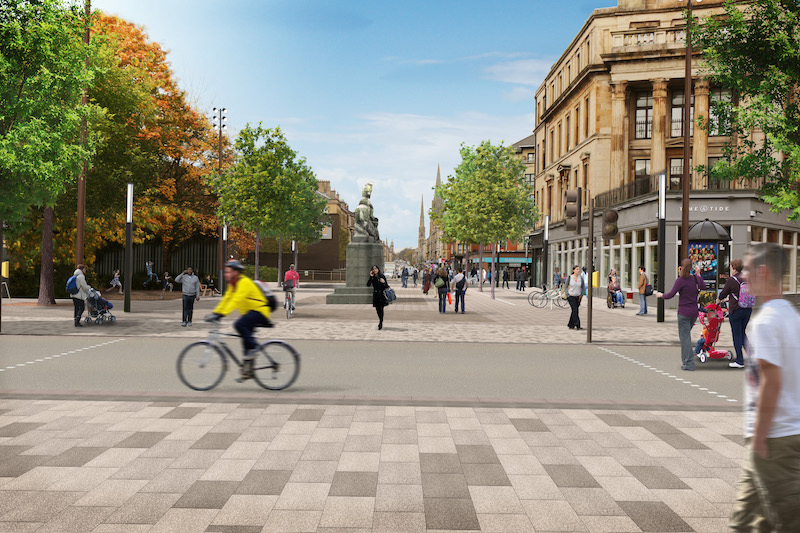 There was lots of interest when I posted the initial design proposals for Argyle Street and Trongate back in June. So, dear reader, here’s a preview of the next wave of Avenues design proposals for the city centre. 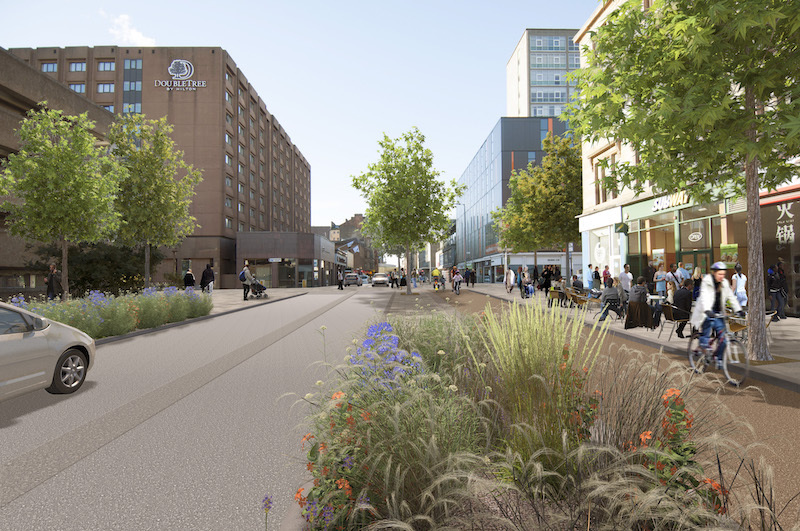 This latest phase of design work includes some of Glasgow’s most famous streets – and also tries to repair some of the city’s most damaged urban fabric. Here, there will be a focus on making the street a more comfortable place to spend time, particularly for families, with informal play opportunities, better lighting, more greenery and more seats. Vehicle crossings will be kept but narrowed to a single lane, to give pedestrians greater priority. 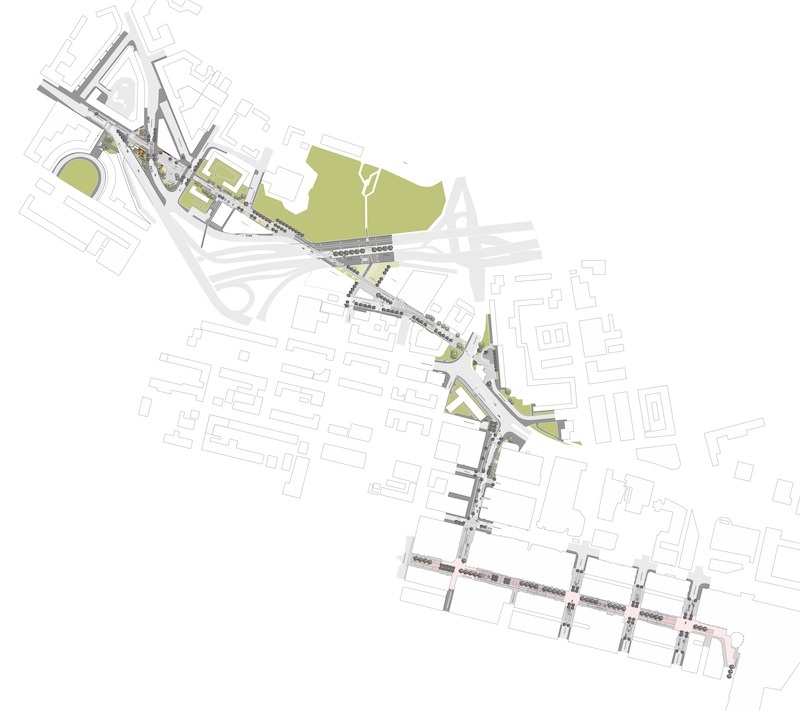 Cyclists will have a new parallel east-west route along Renfrew Street. Everything, as with all of the Avenues, will be designed with disabled access in mind – we’re spending a lot of time working with disability organisations to make sure we get that right, and we’re very grateful for their input. This busy street links Sauchiehall Street to Cowcaddens subway. The width of the street offers a huge opportunity to reallocate roadspace to improve cycling facilities and the pedestrian environment, plant trees and greenery, whilst still retaining space for vehicle traffic (including of course buses) and local deliveries. The walking and cycling route along New City Road from Cowcaddens subway to St Georges Cross, Woodlands and Woodside is one of the most direct routes between the city centre and the West End – but it’s also one of the most uncomfortable. The dismal underworld of concrete and tarmac beneath the M8 is not a nice place to be. 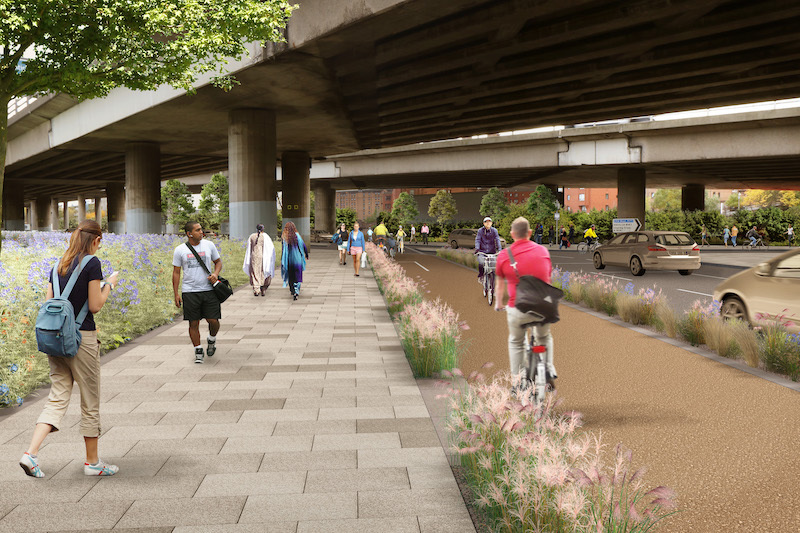 Yet, with a reallocation of space towards pedestrians and cyclists and good landscaping, could this be Glasgow’s answer to New York’s High Line? Maybe it’s not quite of that scale, but it’s a good start! The visualisations you see on this page are not yet fixed – they are drafts to gauge opinion. Although the design team has spoken to lots of local businesses, representatives organisations and community groups to understand issues like deliveries, disabled access, cycling demand and public safety, the visualisations should serve twin purposes of inspiring and exciting, whilst also testing ideas. If you’re interested in seeing plans and more visualisations, or would like to comment, head over to glasgow.gov.uk/avenues and look under the Consultation tab. There’s also a link to a 2 minute survey to get your feedback. The closing date is Sunday 2 December. Please keep us right! Scottish planning awards: cutting edge or simply best practice?